The man responsible for the world’s biggest economy blamed too many more pressing issues when questioned on why the US is still spending millions minting its penny when other countries have got rid of it. Should the US Penny stay or go? But during the recent online Q & A, President Barack Obama did give his strongest hint yet that it might be time for America’s lowest value coin – which costs 2.4 cents to produce and circulate – to go once and for all. Drop the penny and save a mint? 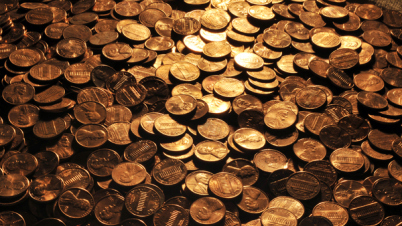 In 2009, the US Government lost nearly £20m minting its one-cent coins. That figure had trebled to almost £60m just two years later. At a time of global recession, many argue that ditching the penny would be an obvious cost-cutting measure. Like many others around the world, the UK included, the US penny can’t even buy itself. But is it quite as simple as that? Obama may be President of the world’s most powerful nation but even he needs legislation from Congress who, not surprisingly, has other more important things to do. And should the penny go, the five cent Nickel coin would be used more and that costs nearly five times more than the penny to put into circulation at 11.2 cents. As regular readers of this blog will know, should the bill ever go ahead, the US would be the latest in a long line of countries to eliminate its smallest denomination coin. Its North American neighbour stopped its production of the penny in January after more than 150 years.